About | J.K. Financial, Inc. Most of our clients are career driven professionals or executives, many of whom are women that have accumulated wealth but are challenged with balance of time in their personal life. As a result their finances often fall to the wayside. As a coordinator, and sometimes coach, we have seen that it does not matter how they created their wealth they all have the same three similar problems. How do I simplify the process ? How do I keep my wealth safe ? Can I sustain my lifestyle ? 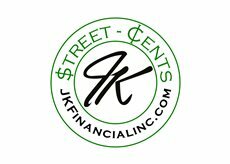 Welcome to J.K. Financial, Inc. a Dallas Texas based Fee Only Financial Planning firm serving clients in 20 states across the USA and six countries worldwide.